J T Eaton - duster head replacement - yellow. J T Eaton - duster head replacement - blue. BASF - Cykick aerosol is a long lasting residual control with quick knockdown. It is effective against crawling insects and is labeled for indoor, outdoor and food handling areas. Restricted use: For Professional Use only in NY and CT.
CatchMaster 288i (Spider & Insect Trap), one of our best sellers. With the CatchMaster 288i, you get a smaller glue trap for spiders and other small insects, they will fold into a rectangle or triangle shape. When trying to control spiders in your home place these small traps in any of the areas, like under beds, behind sofas, and other areas you can get your spider problem under control. Onslaught FastCap Spider and Scorpion Insecticide is an economic and easy to use formula that provides quick knockdown and long lived residual control of scorpions, spiders, and other insects listed on the label. 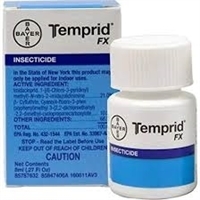 Temprid FX combines the powerful, co-milled, dual active formula you trust for knockdown and long-lasting control of hard to kill pests with a new, flexible label that delivers even more value. Do Not Sell or Ship to New York.